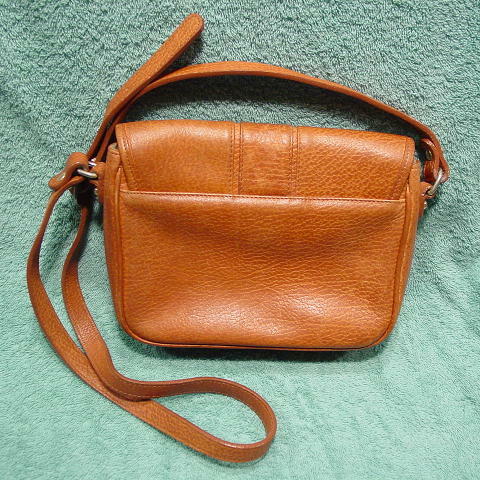 This vintage light multi-tone caramel color leather purse is by Etienne Aigner. It has a hidden magnetic snap under the front flap with a tab holding a cylinder which has a large gold-tone metal ornament with an elevated A in the center. 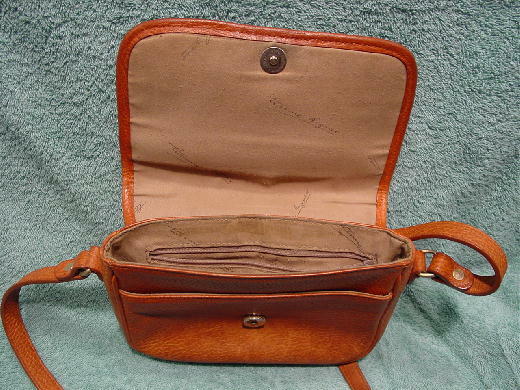 The light cocoa-sand color fabric lining has Etienne Aigner written all over it. The front under the flap has an open section. 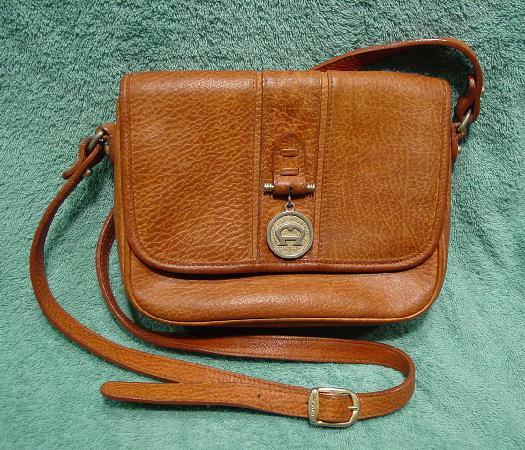 It has a 46" long shoulder strap with Aigner etched on the buckle. It's from a former German model.